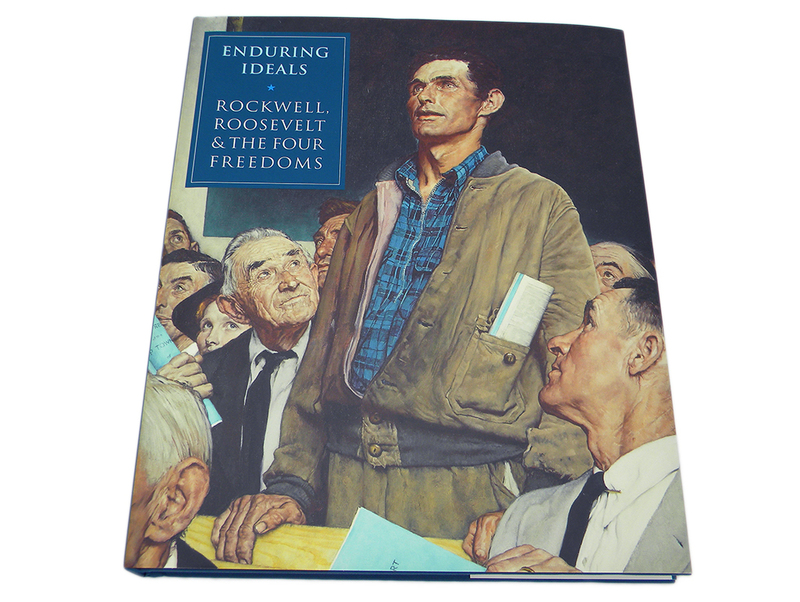 Enduring Ideals: Rockwell, Roosevelt & the Four Freedoms has been organized by Norman Rockwell Museum in Stockbridge, Massachusetts. It is accompanied by a fully-illustrated catalogue and teaching resources for grades K–12. The museum shop offers a range of gifts and other items inspired by the Enduring Ideals exhibition, including a fully-illustrated catalogue. To place an order, or learn about other items availabe for sale, contact us at 202-994-7945 or [email protected], or visit the shop during the museum’s public hours. Museum members enjoy a 10% discount on purchases. Header: Norman Rockwell (1894-1978), The Right To Know (detail), 1968. Oil on canvas, 29” x 54”. Illustration for Look, August 20, 1968. Private Collection. © Norman Rockwell Family Agency. All rights reserved. Photo Gallery: Norman Rockwell (1894-1978), Freedom from Fear, 1943. Illustration for The Saturday Evening Post, March 13, 1943. Collection of Norman Rockwell Museum. ©SEPS: Curtis Licensing, Indianapolis, IN. www.curtislicensing.com; Norman Rockwell (1894-1978), Freedom of Speech, 1943. Illustration for The Saturday Evening Post, February 20, 1943. Collection of Norman Rockwell Museum. ©SEPS: Curtis Licensing, Indianapolis, IN. 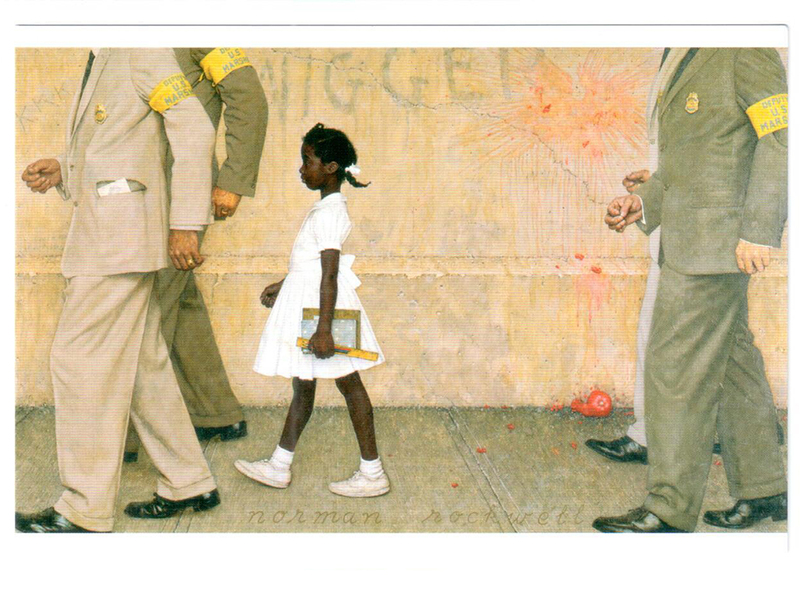 www.curtislicensing.com; Norman Rockwell (1894-1978), Freedom from Want, 1943. Illustration for The Saturday Evening Post, March 6, 1943. Collection of Norman Rockwell Museum. ©SEPS: Curtis Licensing, Indianapolis, IN. www.curtislicensing.com; Norman Rockwell (1894-1978), Freedom of Worship, 1943. Oil on canvas, 46" x 35 ½". Illustration for The Saturday Evening Post, February 27, 1943. Collection of Norman Rockwell Museum. ©SEPS: Curtis Licensing, Indianapolis, IN. All rights reserved. www.curtislicensing.com; The Life of Franklin D. Roosevelt, 32nd President of the United States, 1943. Comic book. Office of War Information Publication. Norman Rockwell Museum Collection; Norman Rockwell (1894-1978), The Problem We All Live With, 1963. Oil on canvas, 36” x 58”. Illustration for Look, January 14, 1964. 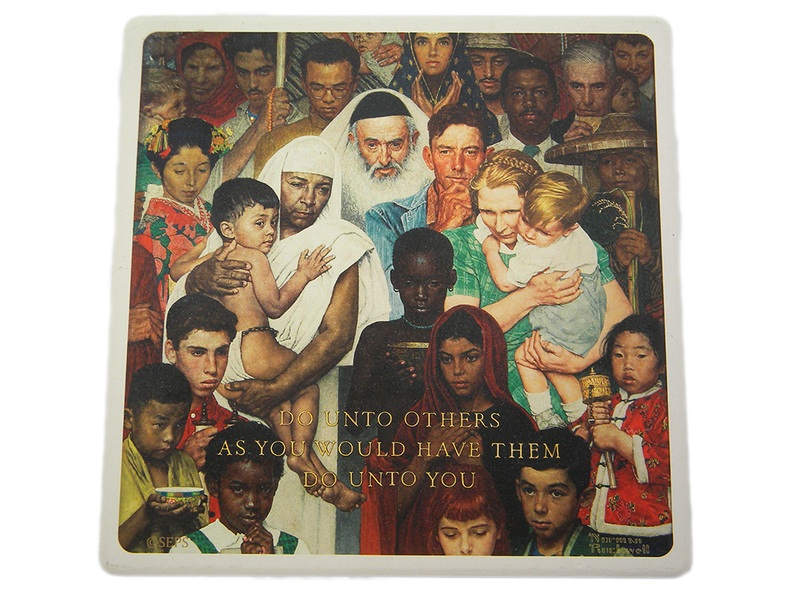 Collection of Norman Rockwell Museum; Norman Rockwell (1894-1978), Golden Rule, 1961. Oil on canvas, 44 ½" x 39 ½". Cover illustration for The Saturday Evening Post, April 1, 1961. Collection of Norman Rockwell Museum. ©SEPS: Curtis Licensing, Indianapolis, IN. All rights reserved. www.curtislicensing.com; Dorothea Lange (1895-1965), Migrant Mother (Destitute pea pickers in California. Mother of seven children. Age 32. Nipomo, CA), February or March 1936. Library of Congress, Prints & Photographs Division, FSA/OWI Collection, [LC-DIG-fsa-8b29516].